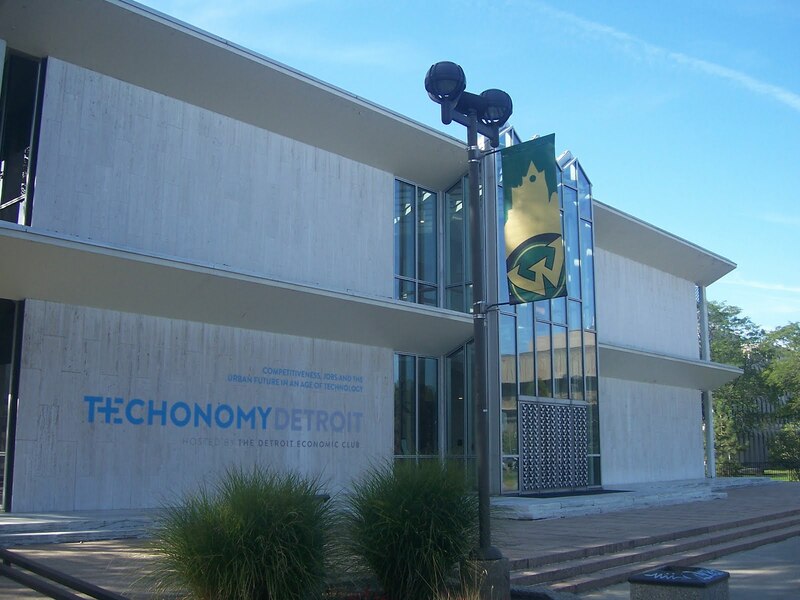 on September 12th 2012 Techonomy came to Detroit. David Kirkpatrick and his incredible crew wowed a crowd of roughly 600 people with impressive speakers, panels and subject matters. Walking into the venue I knew that Wayne State had put a lot of effort into putting a top notch show on for us. The McGregor Center & Community Arts Auditorium was decked out with Techonomy Swag like the side of the building seen above. There were Wayne State University students giving out cookies and directions. It was classy and thought out. The food was great and plentiful, the charging station was a nice touch and the after party was amazing. The only complaint I have was the WIFI. While it was fast when it was working, I was live tweeting all day from my iPad, and probably sent a few hundred tweets. but I got knocked offline and had to sign in with a very complex process about 40 times! WSU needs a better guest login system. Below is the list of the days events, which are links to my reviews of the events.